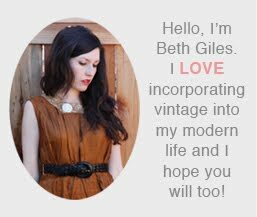 Vintage Clothing Blog | Vintage Wedding Dresses | Salvage Life: How does my garden grow? 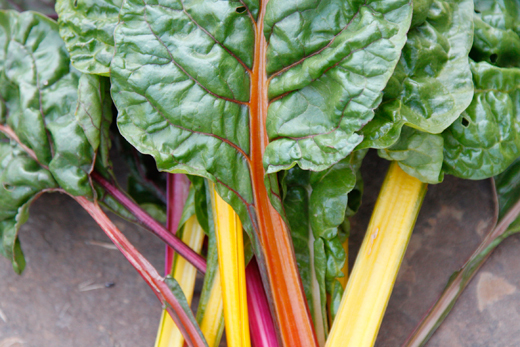 I just die over the colors of this rainbow chard! Even if I get sick of eating it, I'll want to have it around for the cheery colors. 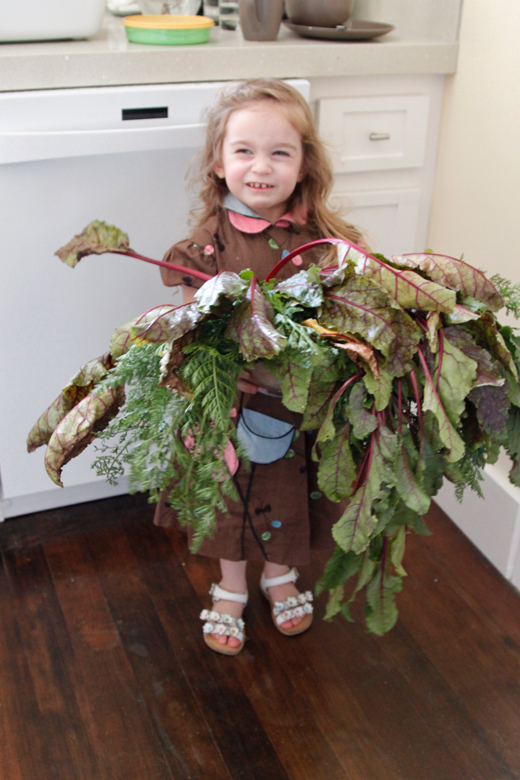 We harvested a bunch of beets and carrots today and Ruby insisted on carrying the bounty into the kitchen. I think her arms got tired while I was running to get my camera, ha! Our beets turned out a little smaller than I was hoping, I think I may have planted them too close together. Our carrots were a little twisted, but still taste great! 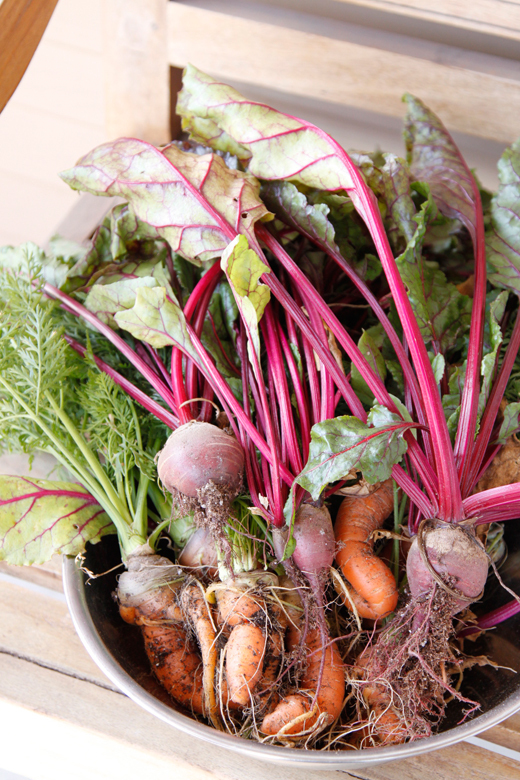 I am planning to make some borscht, hope it's good! We've been making some delicious smoothies lately with spinach and carrot greens from the garden. 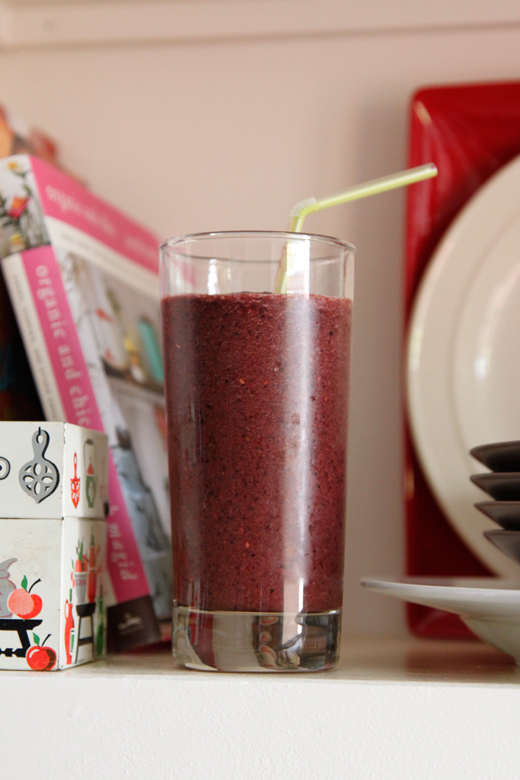 I add frozen raspberries, blueberries, flaxseed and a dollop of honey...so satisfying! We ate the last of our limes the other day and these lemons are not quite ripe yet. It's getting so hard to buy things at the grocery store that I used to just walk out the door and pick. I'm really looking forward to our blueberries, a few are starting to change color. The pots are positioned right by the front door, so I am constantly stopping to check if they are ripe. I'm trying to figure out what to grow next, any suggestions? My mouth is watering. I wish we lived closer. We have a ton of extra broccoli from our garden, more than we could ever eat. I'll trade you for some of those beets!